Happy #mealprepmonday Blue Ridge Nation! On Mondays, our @cbdsuperfood team puts together some recipes that will provide multiple meals throughout the week. It helps us incorporate routine and structure into our lives, allows us to easily nourish our bodies, and makes the rest of the week run smoothly! This recipe is a great one to make ahead of time. You’ll enjoy one serving of it fresh, and then you can set aside a portion for a grab-and-go lunch to eat later in the week. 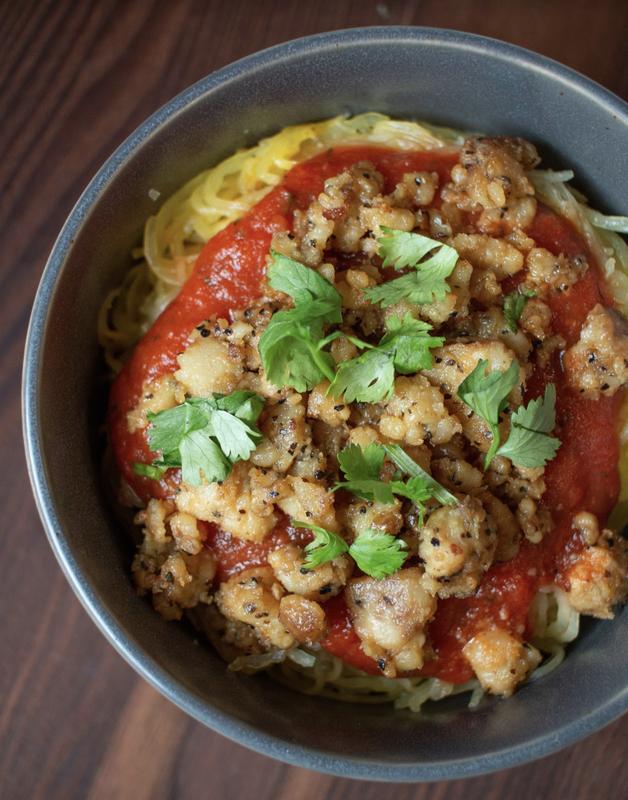 Spaghetti squash is a great (and gluten-free!) 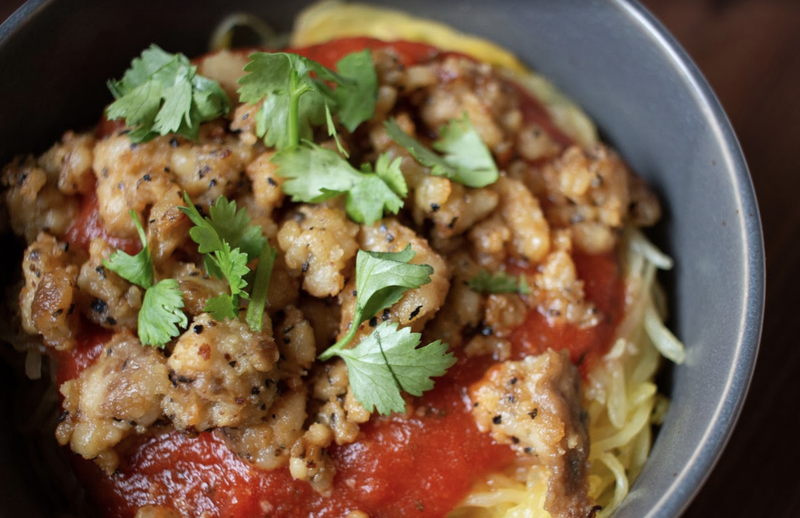 alternative to regular pasta. Topped with some crumbled @eathempeh Salt and Pepper Hempeh, this pasta bowl has tons of flavor and protein to give you sustenance amidst your busy schedule! Preheat oven to 350˚ and slice your squash into rings. Remove squash seeds (and set aside to cook separately! View our roasted seed recipe here). Rub with oil of choice, salt and pepper. Place on a lined baking sheet and bake for 35–45 minutes, or until squash separates into long strips. Crumble hempeh in a pan and brown in oil until barely crispy. Add pasta sauce and stir until hot. With a fork, pull squash from rind and place in a bowl. Toss in ghee. Top with sauce, hempeh crumble, and fresh parsley. Enjoy!